Fresh is Real's appreciates your subscription! It will be the best way to inform you about exciting changes—new recipes, baking tips, events and news! This step is essential, especially if Instagram and Facebook decide to disappear again! Or, if I ever need to contact my YouTube subscribers, this will be another way to get in touch! 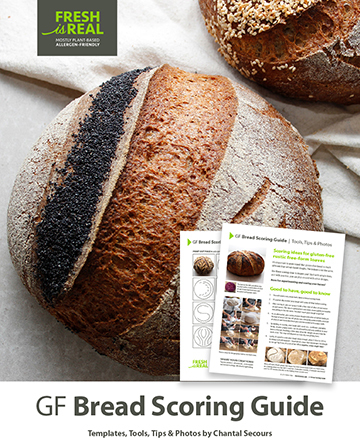 Once your subscription has been confirmed, your GF Bread Scoring Guide will be sent to you in a separate email! Make sure to check your junk folder, just in case! Ps. 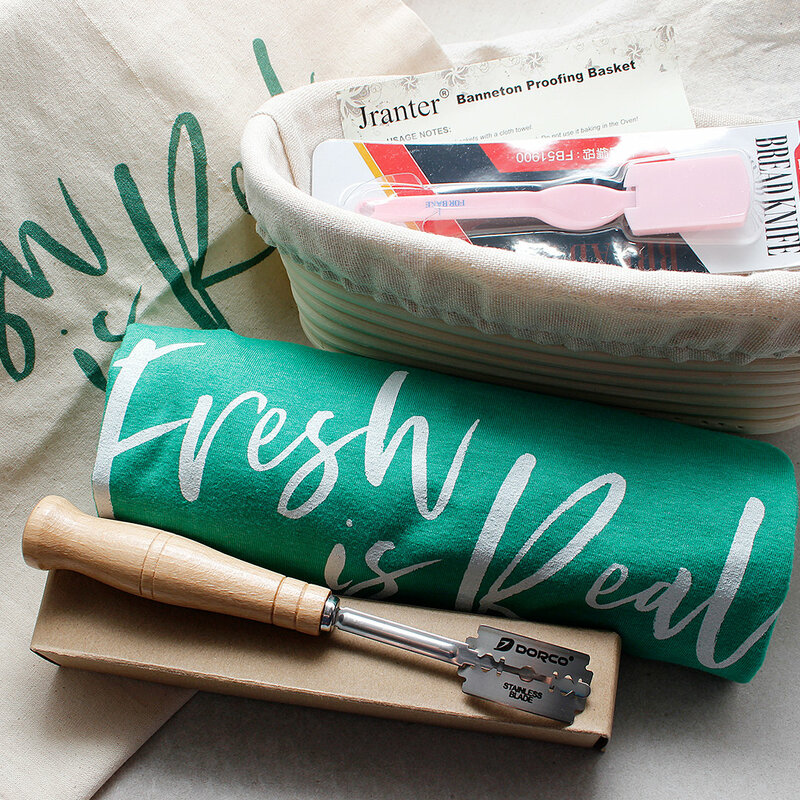 There's a monthly contest happening during the month of April 2019 to win 1 of 2 prize packages that include bread baking related items! The good news is that by signing up here, you will automatically be entered for a chance to win! Contest ends April 30th, 2019. The winners (18 years old or older), will be contacted by email for shipping details. Now, let's bake some GFV bread together!